Just as described. Have held up well over four years. 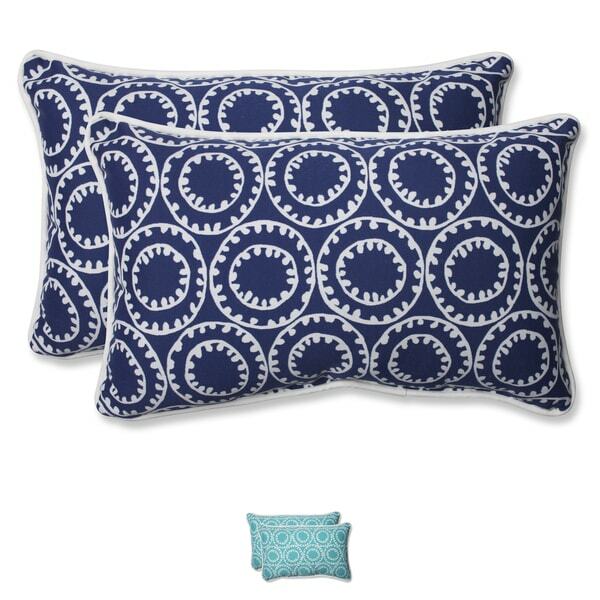 This outdoor set of two rectangular throw pillows boasts a lovely modern pattern, sure to add a splash to decor. Paired with contrasting patterns and complimentary colors, or on its own, this plush accent creates a lovely addition to your decor. Care instructions: Spot clean or hand wash fabric with mild detergent. Please note:This item is made to order and each pattern may be cut differently. If buying two of the same item, minor differences in size or pattern should be expected. Note: Color discrepancies may occur between this product and your computer screen. Love my pillows, they are the perfect accent to my sofa! 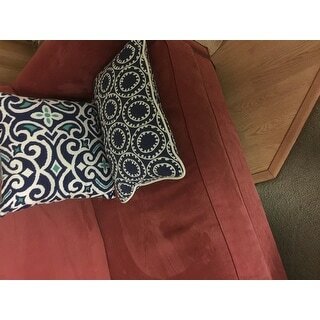 These pillows are vibrant, comfortable and durable. Love! The couch was Pier 1. Beautiful colors. You have nice things. Looks great on our outdoor sectional! Good size to put behind your back for comfort. They are nice and sturdy. Love them for my patio. Plush and vibrant cushions are an indispensable part of a homey and stylish patio. Unfortunately, a cushion’s fabric and stuffing will deteriorate after a few years if left in the sun and the rain. To keep your patio fresh and comfy, it’s important to replace old patio cushions when they start to fade. Use these tips to find the perfect outdoor cushions for every chair and bench on your patio.